Experience fly fishing in Yellowstone National Park with our professional guides. We offer custom trips and lodging packages for all anglers and families. Outfitter #31488. 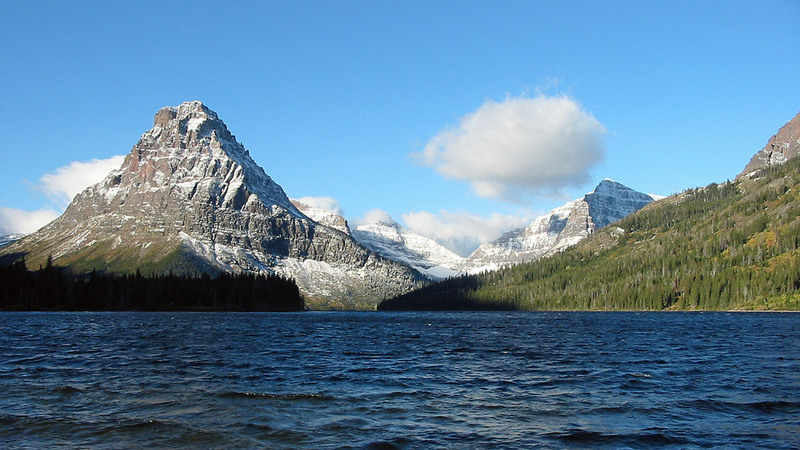 Glacier National Park and Yellowstone National Park are the two most popular destinations for people visiting Montana. 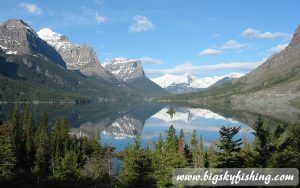 The recreational opportunities n Glacier and Yellowstone parks, which range from hiking, backpacking, sightseeing and wildlife viewing, are the finest the lower 48 states offers. Outstanding scenery, unique natural features and healthy wildlife populations combine to make any visit to Glacier or Yellowstone National Park a memorable experience. With everything that a visitor to Glacier National Park or Yellowstone National Park can do, fishing is an activity that is often forgotten about. Yet, each of these national parks can provide excellent fishing, especially if the angler is willing to break away from the roads and visit the backcountry. The fishing in the backcountry of Glacier Park and Yellowstone Park provides an angler with quality native trout fishing in a beautiful, pristine environment. Since an angler visiting Glacier National Park and Yellowstone National Park will often venture into the backcountry, and may also want to do some activities not related to fishing, this section spans a number of categories. 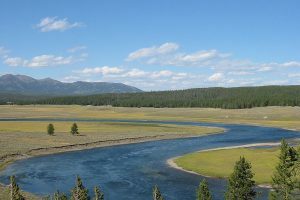 Besides providing fishing information on various waters in Glacier and Yellowstone National Park, information about scenic hiking trails, scenic drives and unique natural features is provided. General information about each of the parks is also provided, with links pointing the way to interesting places on the Internet that have additional helpful information. The “Crown of the Continent” offers outstanding hiking, fishing and boating in a gorgeous setting. And the Going to the Sun Road is one of the most scenic drives in the United States. Known for it’s vast plateau, hot springs and bountiful wildlife, Yellowstone National Park also provides excellent trout fishing both in its well-known rivers and in the backcountry. 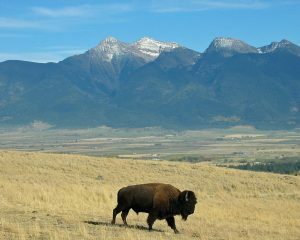 While not a true National Park, the National Bison Range in Northwest Montana is still a must-see attraction. Across this 20,000 acre preserve hundreds of bison roam free. And the Red Sheep Mountain Drive provides a scenic excursion through the beautiful part of Montana.